You Are Here: Home > DIY Forum Home > DIY and Home Improvement Forums > Decorating Forum > How to Drill through a concrete lentil? How to Drill through a concrete lentil? I'm trying to put up ventian blinds. The blind's fixation points are in the top window recess of the wall. When drilling into the recess, the drill bit reaches a depth of 1/4 of an inch and hits hard material. If I apply pressure to the drill, the drill bit goes blunt. I think the hard material is the window's lentil which I think is concrete. Can some one advise what I should do in order to drill through such hard material. Type of drill and drill setting. Type of drill bit? I'm currently using a 800W power drill, set to hammer, and a 6.0mm masionary drill bit. 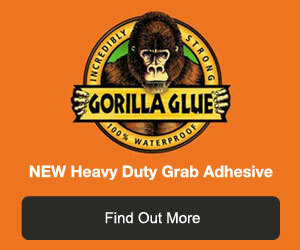 See the projects section, adhesives used at home. Drilling into concrete with an ordinary hammer drill is not easy. Firstly have a good drill bit. Cheap drills just aren't good enough. Expect to pay about Â£2 -Â£4 for a single 5mm masonry bit. Secondly, keep the drill tip cool. If the bit is cutting into a brick say, the heat caused by friction is carried away by the debris. In concrete where not much cutting is being done, the carbide tip overheats, becomes soft, which of course blunts it, then it eventually melts. Dip the tip in cold water every 5 - 10 seconds or so of drilling. Start if possible with a pilot drill of 3 -4mm then open up to the final size. Try different speeds and pressure. Max speed and pressure does not always produce the best results. If the house is relativly new it may well have a steel catnic, but i would try martins advise if that fails try and rent or borrow an SDS drill or better still treat yourself they are only 30.00 from diy shops.